Remittance refers to the transfer of money by the foreign migrant workers to their family and friends in their home countries. Remittances assist the economic growth throughout the world. The money sent home by the migrants makes up second biggest financial inflow to numerous developing countries and it exceeds even the international aids. A majority of the remittances from USA are focused towards the Asian countries. 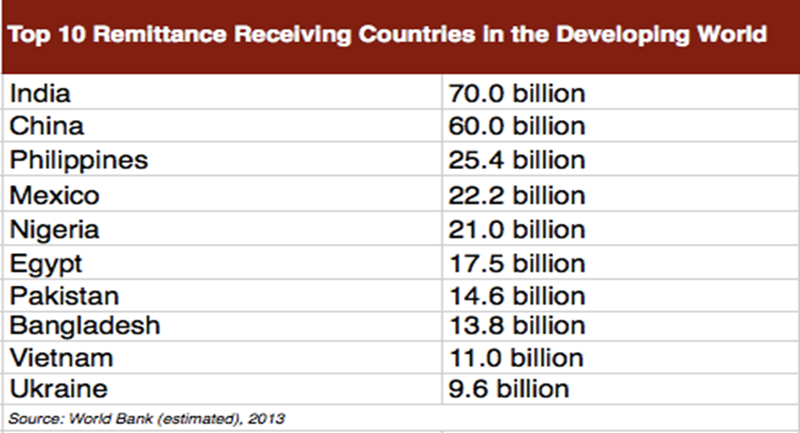 India tops the list of remittance receivers from USA, followed by People’s Republic of China. India is the leading recipient of Remittance for past many years. 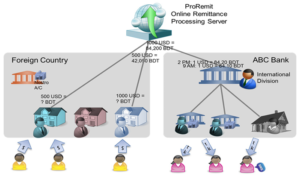 Remittance Transfer can be either domestic or International. If the money gets remitted within the same country then it is termed as Domestic. In fact,10% of the world’s population makes a part of the remittance procedure. Most of the remittance receivers are economically poor people, and it leads to better economic conditions for them. The economic growth is an increase in the amount of goods and services produced per head of the population over a period of time. Remittance is playing increasingly a large role in the economism in many countries contributing to economic growth. The economic impact remains contested among researcher, however, remittance transfer do draw people towards the financial services that are available to them. 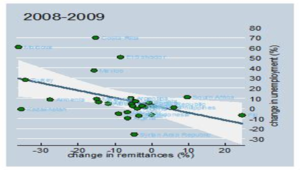 Remittance increase household incomes and are anti-poverty force in developing countries. The share of the global remittances sent to the developing nations rises from fifty seven percent in 1995 to seventy two percent in 2005. It was equivalent to an amount of $167 billion in the time period of ten years. USA tops the list of countries that offers the largest amount of remittances, with $31 billion of remittance is sent every year from USA to other countries. India is the leading remittance receiver globally and accounts for the maximum remittance received every year. In the year 2006, $26.9 billion was remitted to India and it increased up to $55.06 billion in 2009. India is followed by China at second position with $22.52 billion in 2006 to $40.5 billion in 2008. These two are followed by Philippines ($17.3 billion); Mexico ($21.2 billion) and Poland. A large chunk of remittances from the US is directed to Asian countries including India ( 26 billion), Philippines (16 billion) and China (23 billion). 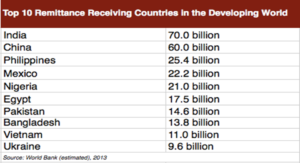 In the year 2003.2004, five out of seven top remittance recipient countries belonged to Asia. The Asian countries were India, Philippines, China, Pakistan and Bangladesh. Non Asian countries in the top seven include Mexico and France. The Asian countries like India, China and non Asian such as Mexico and France accounts for a third of global remittances. The remittances make up a high share of GDP gross domestic product in only two countries including the Philippines and Serbia. In fact, approx ten percent of the population globally is involved directly with remittances. Most of the remittance service providers accept deposit or remittance using only the bank accounts or by using online banking. 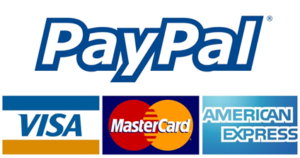 Send money through credit card. PayPal is very popular payment method that is accepted everywhere in the world. 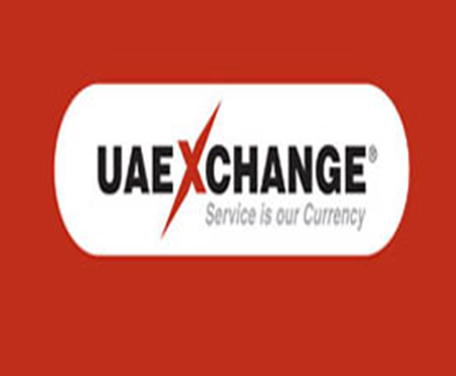 UAE exchange world’s total money transfer is the leading global remittance and foreign exchange brand that offers its customers a wide array of services to make life easy for them. 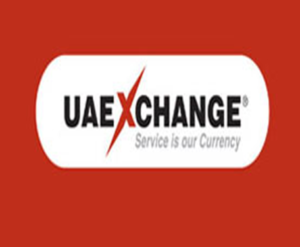 The quality services include xpress money,the instant money transfer service with over 135,000 payout locations in more than 125 countries. 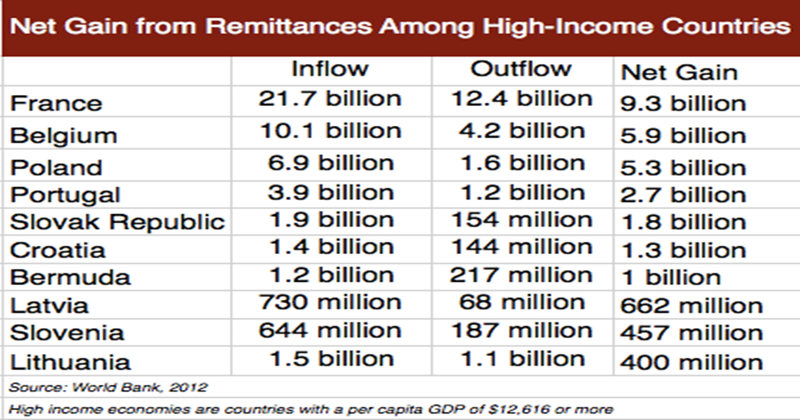 Remittances play a huge role in developing countries’ economy, individual households, and businesses. When the household receives remittances in addition to income from production, the household seeks to spread these remittances across consumption and leisure according to their respective marginal utilities. The reduction of steady labor supply leads to a decrease in income but it is not enough to offset the additional resources from remittances. Therefore the total household income increases in the presence of remittances which leads to an increase in household in consumption, confirming the widespread belief that remittances helps in poverty reduction and improves the living standard. In Nepal, poverty reduced from 42% to 31% between 1996 and 2004 (World Bank). Remittance payments directly alleviate the poverty of the individuals and households to whom they are sent. Forming a relatively stable source of income independent of the local economy of recipient families, remittances offer a lifeline to millions in the most vulnerable groups across the developing world. Moreover and unlike other financial flows to developing countries that stream through government agencies and non-governmental organizations (NGOs) remittance payments are targeted precisely to the needs and desires of their receivers. It is not aid agencies or governments that decide when, where or why remittance incomes are spent, but the recipients themselves. ‘Survivalist’ income supplementation: For many recipients, remittances provide food security, shelter, clothing and other basic needs. Consumption ‘smoothing’: Many recipients of remittances, especially in rural areas, have highly variable incomes. Remittances allow better matching of incomes and spending, the misalignment of which otherwise threatens survival and/or the taking on of debt. Housing: The use of remittances for the construction, upgrading and repair of houses is prominent in many widely different circumstances. Health: Remittances can be employed to access preventive and ameliorative health care. As with education, affordable health care is often unavailable in many remittance-recipient countries. Social spending: Day-to-day needs include various ‘social’ expenditures that are culturally unavoidable. Remittances can be employed to meet marriage expenses and religious obligations and, less happily but even more unavoidable and related costs. 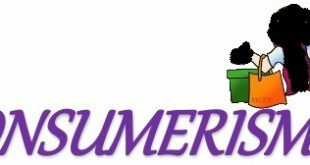 Consumer goods: Remittances allow for the purchase of consumer goods, from the most humble and labor saving, to those that entertain and make for a richer life. Of course, the extent to which remittances reduce poverty is explicably bound up in how they are used. Typically for poorer recipients, remittance payments are used for basic survival, consumption, housing, health and education, as per above. Once these needs are met, however, remittances can be ‘invested’ whereupon they provide ‘second-round’ impacts on poverty into the future. 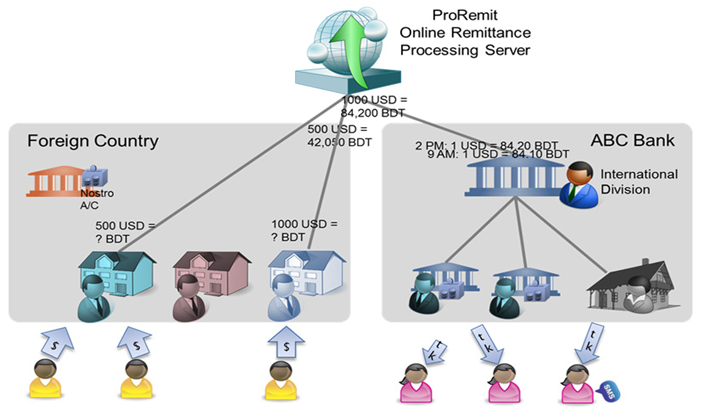 the extent to which remittances can be used to create income-generating activities. Expenditure on agricultural equipment and fertilizers, vehicles, retail stock and equipment and on land improvement are not uncommon forms of investment of remittance earnings. 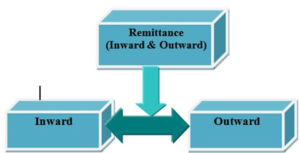 The term ‘inward remittance” means purchase of foreign currencies in whatever form and includes not only remittances by M.T., T.T., draft etc., but also purchase of travelers cheques, drafts under travelers letters of credit, bills of exchange, currency notes and coins etc. Debit to banks’ non-resident Rupee accounts also constitutes an inward remittance. There is no restriction on receipt of remittances from abroad either in foreign currency or by debit to non-resident Rupee accounts of banks’ overseas branches or correspondents. Authorized Dealers may freely purchase T.Ts, M.Ts, drafts, bills etc., expressed and payable in foreign currencies or drawn in Rupees on banks’ non-resident Rupee accounts. The term “outward remittance” means sale of foreign exchange in any form and includes not only remittances by T.Ts, M.Ts, drafts etc., but also sale of travelers cheques, travelers letters of credit, foreign currency notes and coins etc. Outward remittance can be made either by sale of foreign exchange or by credit to non-resident Rupee account of banks’ overseas branches or correspondents. Unemployment: As a consequence of the global economic crisis, 2009 marked a hiccup in the trend of increasing remittance flows to developing countries. In most parts of the world, the growth rate of remittances was indeed negative. But what is striking is that there was an inverse relationship between remittances and unemployment. In other words, the greater the drop in remittances, the higher was the increase in the unemployment rate. In Moldova, for instance, remittances decreased by 36% in 2009, while the unemployment rate increased by 61%. By contrast, in Fiji, remittances increased by 24% and unemployment dropped by 7%. Poverty: Poverty is also the reason of remittance, due to poverty in under developed countries people turn to developed countries. Attraction of Higher wages: Professionals turn to developed countries because of higher wages and better perks and benefits. Political Freedom: Political freedom and political stability is very important factor of peace therefore people switch to developed and politically stable countries. Better amenities of life: Living standard and amenities also attract people of under developed countries. A Growing Demand: When receiving money from abroad, families must often battle extended commutes via public transport, long lines and arduous paperwork – not to mention the anxiety and safety concerns of traveling within urban centers with large sums of cash. Traditional Mode of Money Transfer: Traditional/offline way of money transfer consists of sending cheques, Demand/Bank Drafts. It takes time to reach the cheques/DDs in the destination and also collection of outstation cheques/DDs needs more time and banks normally charges large amounts as collection charges. And also there is a chances of cheuque/DD lost in transit. Agent Transfer: You need to visit an agent location carrying currency notes and verification details such as passport or approved Identification Cards among others to make a remittance. 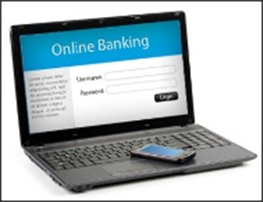 Wire Transfer: A bank wire transfer is an electronic transfer of funds from one bank account to another. But, the disadvantages are very high transfer fees, your amount will get transferred in about 1-2 days but the cost can be quite steep. Remittance through ATM: Technology is so advanced, the business of international payments have become fast, flexible and even free at times. The new generation private banks have started internet-based remittance services, to serve the needs of those who send money back to their home country. 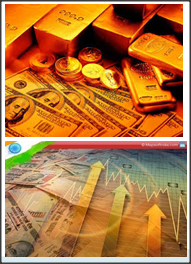 Demand Draft “DD”: A demand draft or “DD” is an instrument most banks in India use for effecting transfer of money. It is a Negotiable Instrument. To buy a “DD” from a Bank, you are required to fill an application. Mail Transfers or Mail Orders: This is the mode used when you wish to transfer money from your account in Center ‘A’ to either your own account in Center ‘B’ or to somebody else’s account. In this mode of transfer, you are required to fill in an application form similar to the one for DD, sign a charge slip or give a cheque for the amount to be transferred plus exchange and collect a receipt. Telegraphic Transfers or Tele Orders: This is similar to the Mail Transfer except that the message is sent to center ‘B’ by way of a telegram and the money is deposited the next day. The mode of instructions nowadays is increasingly the fax. Electronic Mode: More and more banks are now offering electronic mode of transfer of funds like Electronic Transfer System, Cash Management product etc. The remittance of funds through these modes is much quicker and the time is reduced to hours and in some cases even minutes. Remitting involves financial institutions, people who send and receive remittance are likely to have bank accounts, which promotes economic development. 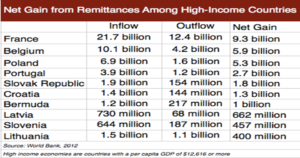 Remittance inflows can not be denied in term of growth enhancement and poverty reduction. Trade Deficit: Is an economic condition that occurs when country is importing more goods than it is exporting. It raises the standard of living of a countries residents. A trade deficit can also indicate that the countries residents are feeling confident and healthy. Improve living standards: It can also provide food, clothing and health care. Redistribution of Wealth: It helps the equalize the income distribution. It reduce poverty and income inequalities by rising the average level of income per capita. Increase in Saving: Remittance help to increase the rate saving and as a result increase investment. Increase in Productivity: More investment will result in more productivity. Increase in income: Increase of income in household also increase consumption. Increase the country s dependence on remittance rather than investment. Insurance purposes. Ex: Emigrant/Household income risk. Implicit loan arrangement. Ex: Emigrant is paying back to the household for the investment made. Depreciation of the home currency can increase the purchasing power of remittances in the home country. Ex: Migrants who settle in the U.S. earn money in U.S. dollars, but their transfers to family and others back home are usually converted into the domestic currency. Take of advantage of the depreciation by investing more in the home country if the immigrant has investments in both countries, but plans to return eventually to the home country. Decrease in labor supply and a negative impact on the trade able sector have adverse consequences for the receiving country. Economic development is that remittances are often used for investment in the home country. Inflationary pressures or cause a phenomenon. This can appreciate the local currency and crowd-out exports. Distribution of income increases inequality. Increase in remittances shifts the receiving household’s budget constraint outward by the amount of the transfer and therefore should have a positive impact on household consumption. Remittance receiving households spend more on education, health, and housing. Remittance-receiving households devote a larger proportion of current expenditures to investment and savings, and have lower income elasticities for current consumption and for durable goods. It is possible that after receiving remittances the labor supply of some household members decreases. Remittances can give the household the initial capital necessary to start a small business. May increase the education of children in the household. Remittances has been shaping the economies of many countries and making effective contribution to economic growth as well as the livelihoods of poor people. The remittance receivers depend on the money sent to them for living a fulfilled life and they have a higher tendency to own a bank account. 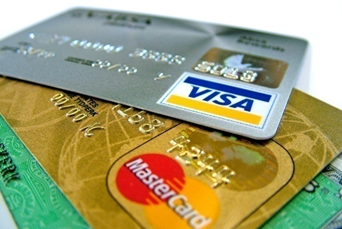 Remittances make the access to financial services effortless for both sender and recipient. In fact, remittance plays a major role in the promotion of economic development. As per the statistics, the top recipients as per the share of remittances in GDP comprises of many smaller economies like Tajikistan (45%), Moldova (38%), and Honduras (25%). The remittances are rooted into the migration people life since the time of history. During the 19th and 20th centuries, many European countries like Italy or Spain, were hugely dependent on remittances sent by their emigrants. These countries had formulated policies on remittances after doing significant research efforts in the field. Italy became the first country in 1901 to enforce a law for the protection of remittances.